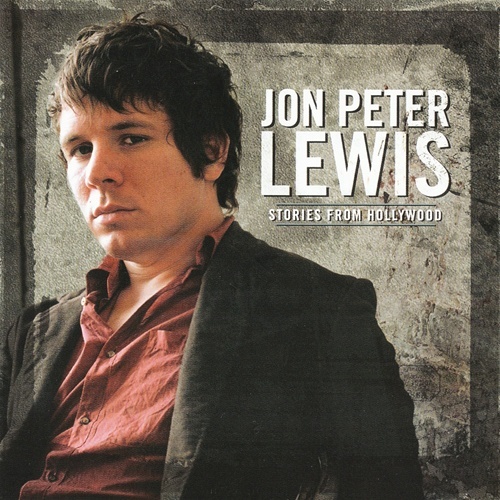 An exceptional singer and songwriter, Jon Peter Lewis was a favorite top ten finalist from American Idol’s third season. Also known as “JPL” to his fans across the world, Jon was hailed as “the dark horse to win the competition” by Simon Cowell and chosen by Rolling Stone magazine as a “pick to win.” Elton John praised “JPL” for his “excellent” voice, while People magazine titled Jon, “A New Idol Heartthrob.” In 2006, Jon released his eagerly anticipated debut album, Stories From Hollywood, to enthusiastic response and critical praise. 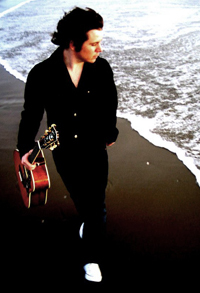 Born on November 7, 1979 in Lincoln, Nebraska, Jon developed a passion for music at an early age. Always singing, he earned national recognition and numerous awards for his vocal performances before joining rock bands and performing in theatrical productions. After hearing about American Idol from a friend, he decided to take a chance and audition for the show. From the moment Jon stepped out onto the Idol stage he was anything but typical. His unconventional performance of “A Little Less Conversation” captured the hearts of millions and easily ushered him in as a top ten finalist from over 70,000 Hollywood hopefuls. Following Jon’s successful run on American Idol and subsequent 50 city tour, he began writing and recording songs with impressive results. After the 2004 release of his first original and wellreceived single, “Turn to Grey,” Jon found continued success with another original song, “It’s Christmas.” The holiday tune released by EMI quickly broke out from the Canadian Now! Christmas 2 compilation album and hit the charts at #13 just after 2 weeks of radio play. Ready to start work on his debut album in 2005, Jon made the decision to step aside from his Idol image and maintain control of his first album. “The offers and musical direction being handed to me just didn’t feel right,” Jon says. “My heart wasn’t into being a ballad singer or creating a teenybopper image.” he recalls. “I’ve always felt more comfortable with a rock edge to my music and I wanted to develop that sound.” The eagerly anticipated and aptly titled CD, Stories From Hollywood, was released on November 7th, 2006 to enthusiastic response. The songs showcase Jon’s “phenomenal vocal range,” according to producer Alex Gibson of Henson Recording Studios, and reveal an impressive rock and roll side to him. Comprised of all original music, the record is a collection of highenergy songs as well as intimate acoustic tracks featuring Jon’s explosive band that, according to producer David Rolfe, includes “some of the most talented musicians in the business.” In September 2006, Jon recorded a second original Christmas song, “California Christmas.” The upbeat holiday tune is being praised as a “Christmas classic” by Chuck Taylor of Billboard Magazine and is featured on the Breaking for the Holidays album. Jon has been performing with his band throughout the country, including shows at the world renowned Viper Room in Hollywood, California. He continues to be a favorite guest of television and radio, and is making final plans for a 2007 tour.